New to our range of walling and copings comes our polished mint copings, new to 2018. 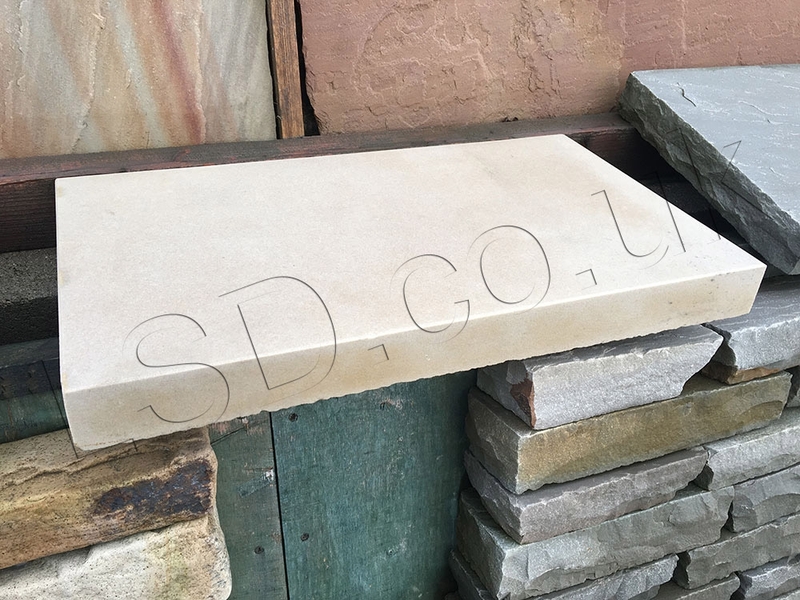 With a smooth but slightly textured feel and coming in the same creamy buff tones that you would expect from our polished mint natural sandstone. Our copings do not come with a drip line cut into the edge as customers use these for other things, not just copings. Once a drip line is cut into a coping it can't be removed, they can be added very easily with an angle grinder or a stihl saw. Your landscaper should be able to do this very easily.